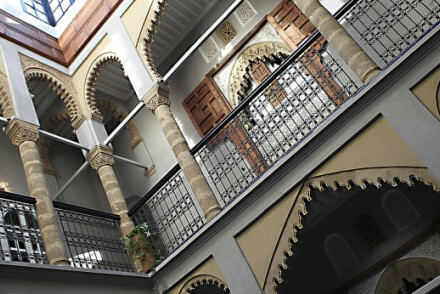 An enchanting riad well located near the centre of Rabat. Atmospheric rooms are well proportioned and keep their original charm; think intricately tiled floors, arched windows, antique furniture and free standing baths. Boasting a pretty central courtyard, hammam and rooftop with views. Very chic. Local exploring - An atmospheric property well positioned to access Rabat's sights. Surfing - At the nearby town of Kenitra there's great surfing opportunities. Sights nearby - Wander through the enchanting medieval fortified city of Chellah.